I’m in the stage of animating. In the meantime, I’m working with my composer, sound designer, actor and Pei who is the first year helping me out. I’m very thankful to work with these talented people. And I start to feel that things are getting serious. Before working with these people, I have the thoughts of playing casual. However, they’re professional and hardworking people which influence me a lot. When the sound designer and composer talk to me with the professional words in their field, I try to broaden my knowledge so that I can catch up. By working with these people, they give me a fresh view of my own work. For example, when the sound design asked me about what the girl’s emotion in a particular point. I start to dig in more into the story and try difference ideas with the sound designer. The music also influence my animatic. 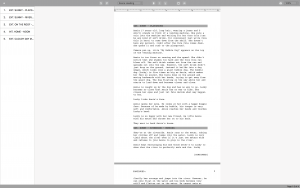 When I get the cue 3, I start to know in a particular scene the timing is not right, I need to change it. In the cinema, you can see very clear that which age or gender is the main audience for this film. 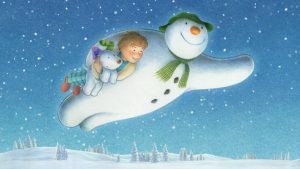 Some Disney films labels “Family” and the audience are mostly parents bringing their kids to the cinema. The adults watch it because they want to spend some family time with their kids. 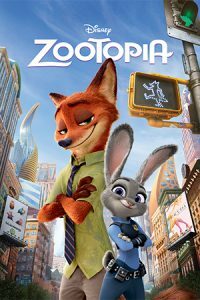 However, the film Zootopia which has great box office result attracts adults to watch without kids. Taking a look at the worldwide box office of recent Disney animated films. It is very interesting to look at these figures. The Incredibles 2’s box office is twice as much as the first incredible film. Why? Is it because it’s twice as good as the first one? On IMDB the first one’s rate is 8/10, the second one is 7.9/10. You may say time changes in these 14 years and it involves in economic growth. But The Lion King which is a 1994 film, the box office is $98.6 Billion. Interesting, eh? The success of the Frozen and Zootopia, because of the target audience has contained as wide as possible. Both of these two films discussed feminist which is the hot topic in the society, it leads empathy toward many people. It is quite fun to take a look at the box office and see these figures meaning. After all, everything has a price. I like to spend one afternoon in the cinema and watch two films, doing a film marathon. I get values from a couple of ways by doing this. Firstly the latest films offer me a sense of what is in trend. 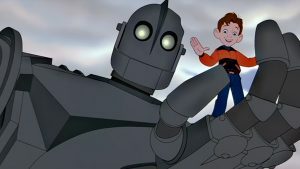 The “in trend” is not only refer to the technology and CGI but is also referred to the story developing and other details even for sound effects. Taking Harry Potter, for example, the sound effects start to develop since the third one. It adds detail to the sound effects for each spell which makes the film more vivid. And the sound effects are still developing in the latest Fantastic Beasts film. Secondly, in the cinema, it is clear to observe the audience reaction and target audience. The lesson I’ve learned is that do not bring your story to everyone and ask for advice. Too much advice can be troublesome and may lead you to the wrong direction. Be clear about who is the one you can ask for and ask that person. It is impossible that you can discuss your script with anyone because people from different background usually have different thoughts in life. Find someone you trust and for you easy to talk to. Listening to others advice, respect others opinions. But make sure you are also committed to the script and opinion. In the brainstorming process, you can try everyone’s idea. However, as the story has well-shaped, you must have a clear eye of which idea works and which not. 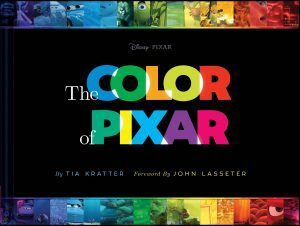 By choosing the colour palette, the main things I’m using is this book ‘The Colour of Pixar’. 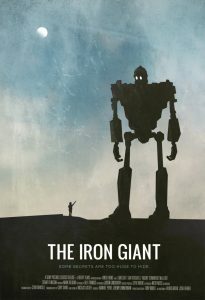 It is a book containing all Pixar feature films colour scripts. 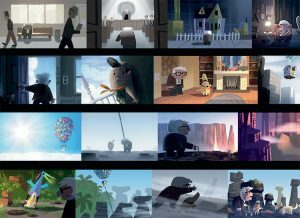 Firstly I thought through the similarity of these films with my film and finding some keywords in my work, like “fairytale” “imaginary friends”. 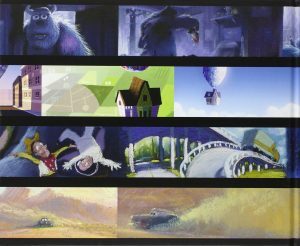 The most suitable films would be UP and Monster Inc. Then I look through scenes I need. It would have playground scene, house, waterside. And trying to find similar scene in these films. As for the script and story development. I have a look through of these two films. Because we need to work on the graduation film by ourselves. I tried to simplify the design. 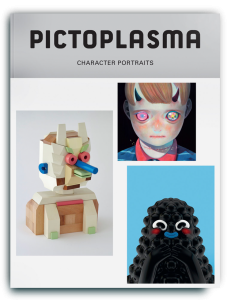 I had this idea when I was reading the pictoplasma book. It contains so many artists in there. 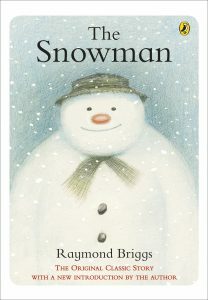 After the first time I read through it in half an hour, I close the book and start to think which character leaves me a deep impression and why. I want to work on a character which is easily for audience to remember. 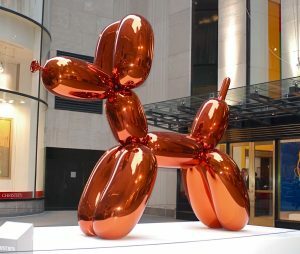 The design of the dog is based on Jeff Koons Bubble Dog which is currently the most expensive modern art. I’ve been always interested in the ark marketing, especially for the modern art market. 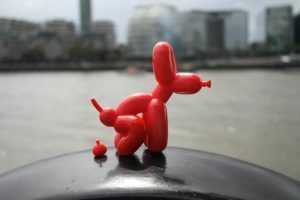 It is hard to draw a standard for the modern art. What is good or bad? What’s the standard? 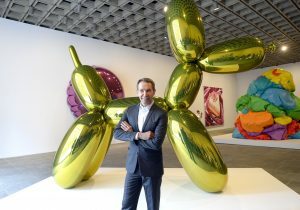 Why Jeff Koons art works can have such a high price? 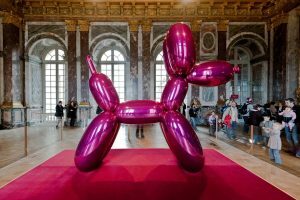 The design of Jeff Koons art is very simple and eye catching. And it is one of the reason why it’s so popular. It can make the audience remember the art easily. A little girl became friends with a giant bubble dog. Will they still remain friends after the girl grew up? The story is based upon my own dog, who has been stayed with me for 12 years. When I was little and went to high school, my grandpa said “I won’t like him the same as I was a kid.” I didn’t’t understand at that time, to be honest. And I always questioning the statement and keeps proving that my grandpa is wrong. I don’t know why I’ve been thinking and worrying a lot lately. So my work process is writing the script first and then deciding on the concept art based on the script. But meanwhile, I force myself to learn different kinds of drawing actually. It’s really stupid. Because I literally cannot draw any style, so just challenge myself to do lots of different styles. What can I do? Why I have so many troubles and issues? I don’t know what to do now. And I don’t know who can I talk to. Everyone has their life in the summertime, they’re all busy. I don’t want to bother them too much. I really admire the position of directors now. How could they figure out everything, everything by themselves? It’s insane. I’m trying to think that way when I’m working on the Guilty Pleasure, having a tone for the film. I made mistakes, but I don’t know if I can improve based on experience? No idea.